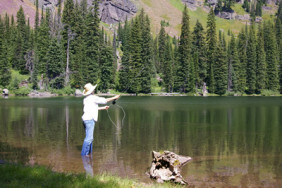 The release of movies like “A River Runs Through It” helped showcase the magnificence of fly fishing in northwest Montana. Yet, there are many people, who despite being inspired to give it a try, are intimidated or embarrassed because they don’t know how to do it. 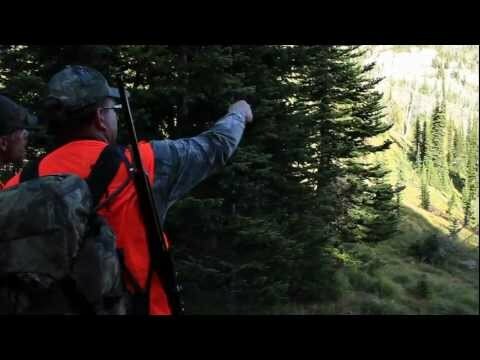 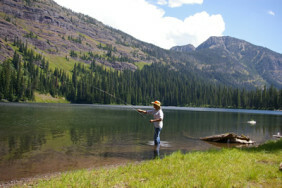 As a solution to this problem, Swan Mountain Outfitters is pleased to offer our Montana fly fishing clinic packages. 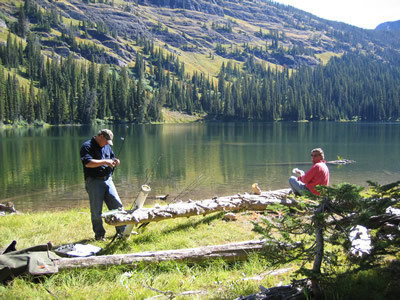 By combining fly fishing instruction with one of our Montana fishing vacations, we make learning to fly fish easy and enjoyable in one of the most scenic and renowned fly fishing destinations in Montana. 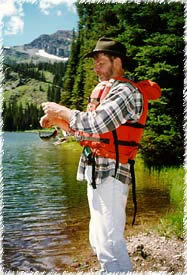 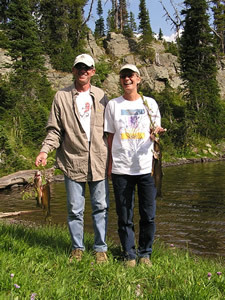 Our Montana fishing guides are patient, outgoing and very skilled when it comes to teaching the art of fly-fishing. Your Montana fly fishing lessons will start at Swan Mountain Ranch where we have a 1 and 1/3 acre pond teeming with native cutthroat trout. 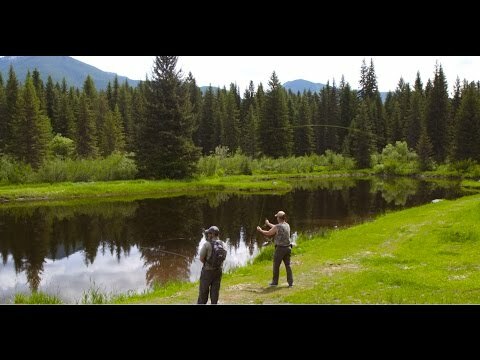 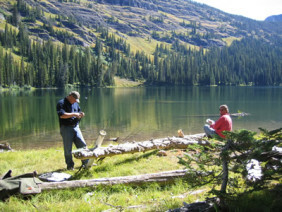 This environment is the perfect place to learn fly fishing techniques and principles that will give you the confidence to really enjoy your Montana fishing experience. 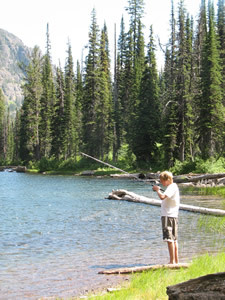 Even if you are not a beginner, taking fly fishing lessons in Montana as part of your vacation can help hone your skills and make your trip all the more enjoyable. 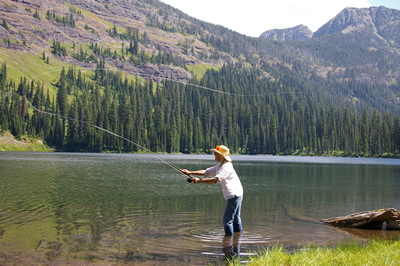 Our clinics are privately held just for your group or family, which makes the experience both safe and fun for those individuals just getting a start in the sport. 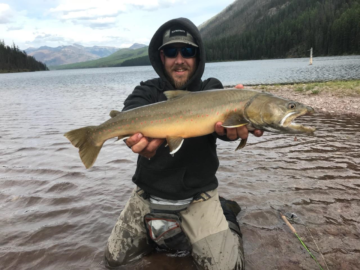 We can accommodate drops-ins with reservations or we can add lessons to your trip prior to departure so that you are ready to tackle those waters. 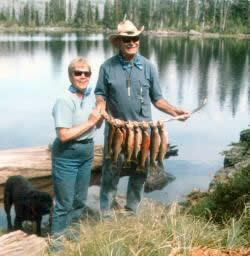 You can even have your whole family stay at Swan Mountain Ranch to complete the experience. 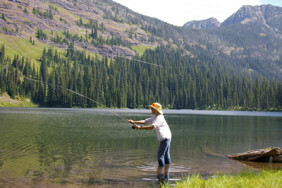 Don’t spend another minute wondering what it would be like to learn how to fly fish, book your fly fishing lessons and family fishing trip in Montana today!